I’ve always treated subscription services and products with a pinch of salt. I’m often wondering whether the cost you pay for a bundled box of goodies is actually worth the money. Are some of the items plain naff? 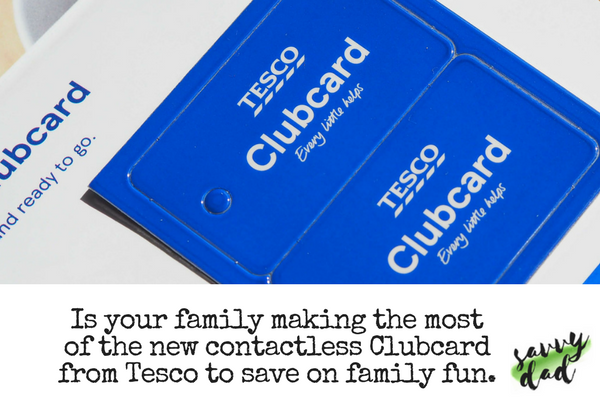 Are some promoted as large savings over buying them normally in stores? Do RRP prices of the items seem high? Well, of late, the UK has seen a growing increase in the number of subscription boxes. Everything from delivered monthly veg boxes and retro confectionary to make up samplers and healthy ready meals. One area to be growing is the niche of brand boxes. Subscription boxes where you pay a monthly cost and get a random box of goodies including some old familiar brands mixed in with new to market releases. Today we have up for review the offering from DegustaBox. A monthly subscription service offering 10 to 15 products for you to try each month for £12.99 inc. free delivery. Many of these items are new to market items being promoted in stores and across contemporary media outlets. 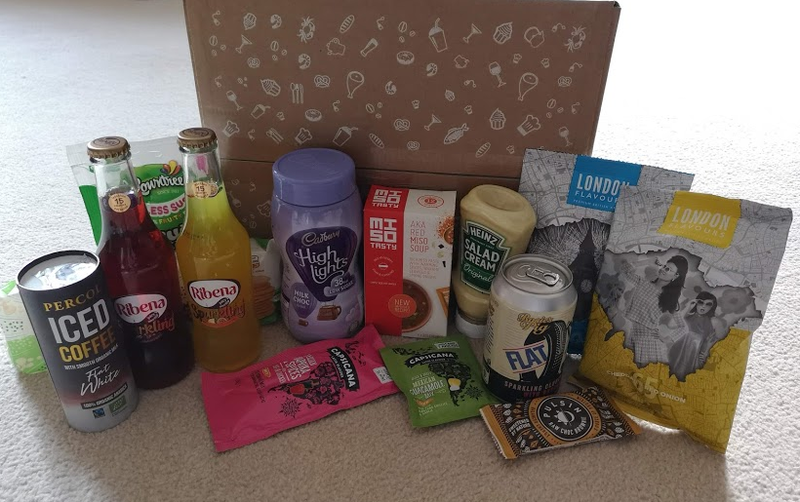 The lovely people at DegustaBox sent us over their July Box to review, along with some teasers for the August Box and a discount code for £5 off for all Savvy Dad readers. Try your first Degustabox, boasting up to 15 products, for only £7.99 (Using our link). There’s absolutely no commitment and using our code gets you a bonus item listed below too! Offer: Get £5 off your first Degustabox, a FREE bonus item & FREE delivery! 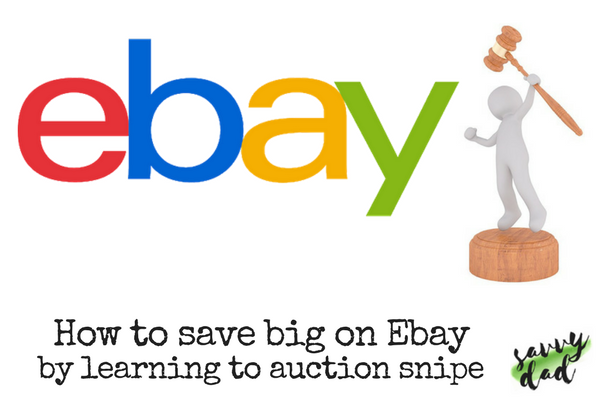 Landing Page: Click here to redeem your £5 discount and find out more. T’s & C’s: New Customers Only, Code Expires 31st August. Product Description: A heavenly huddle of Belgian White Chocolate, zingy Cranberries and sublime Pistachios, entwined deep within our classically buttery crumbly Biscotti. All 20 Flavours of our Biscotti are handmade with the best ingredients in our Artisan Bakery in Dorset. Soon to be available on Ocado and Amazon. DegustaBox: Review of July 2018 Box Contents. Good hearty big crisps made from premium British potatoes, these crisps are hand cooked and roughly peeled giving them a rustic feel reminiscent of a good pug grub crisp to go alongside a pint. 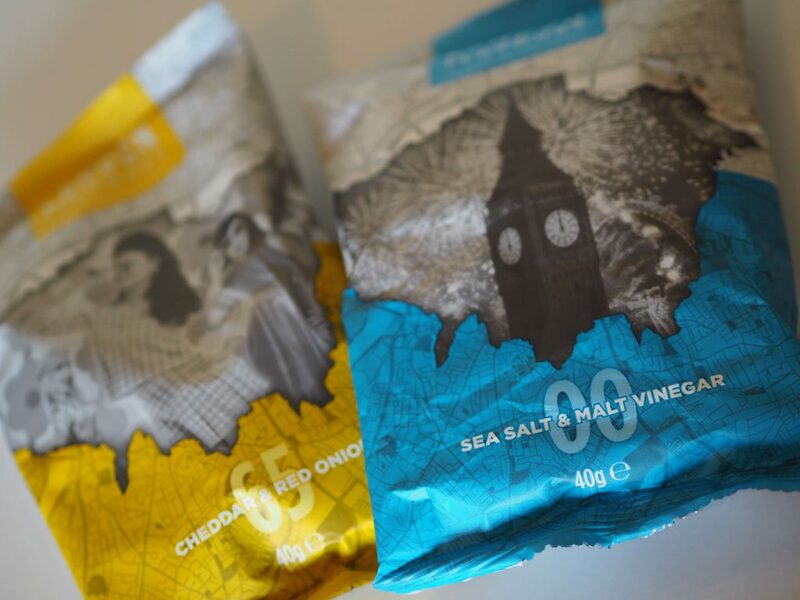 In your box, you’ll find two different flavours; we received the cheddar and red onion flavour which was bold and flavoursome and a classic sea salt with malt vinegar – Yum! 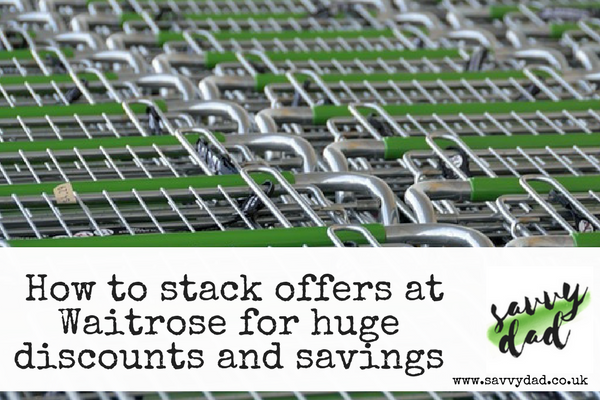 Whilst supermarket brands may be cheaper, these are still great value when compared to how much you’d pay for them out and about. Degustabox is proud to push these items as their release of the month. Full of flavour and Latin punch these mixes bring meat and veggies to life on the grill or barbeque. 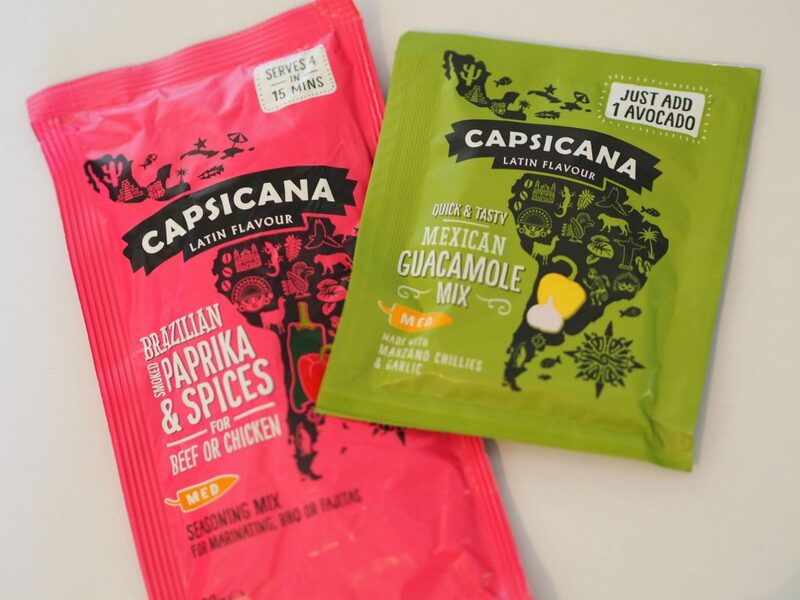 These two seasoning mixes are part of the newly extended range from Capsicana. With an amazing punch, these spices are capable of lifted dull dishes or creating a fabulous fajita! Just add 1 crushed avocado to the guacamole mix for fast and easy side dish full of garlic and spice. Drinks and Soups in the July Degustabox. 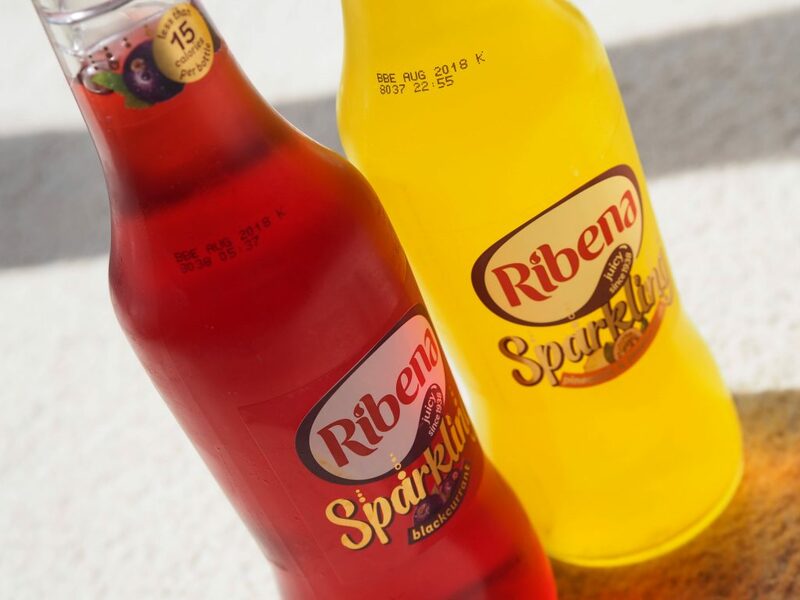 Whilst hugely tasty, these new to market sparkling versions of Ribena’s drinks range leave you just about refreshed. They’re tasty, but not quite big enough to justify the RRP of £2.70 each! These were probably the worst “value for money item” in the box. We’d have preferred either more bottles or a realistic RRP price listed. I take a lot of convincing to pass up a traditional cider in place of an experimental fruity flavour. However, having been impressed with some microbrewery and craft beer subscriptions I’ve tried recently I gave the FlatTyre Cider a go. You could definitely taste the rhubarb coming through and overall it was pleasant. If you’re a Kopparberg or Rekorderlig fruit cider fan, then you’ll likely love this. Traditional cider drinkers may find it a long way from a West Country cider. Easy Red Miso Soup from Miso Tasty packed within individually sealed sachets, ready to use at home, or at work. These are great little spice packs that usually retail around £2.99 to £3.99 right now. 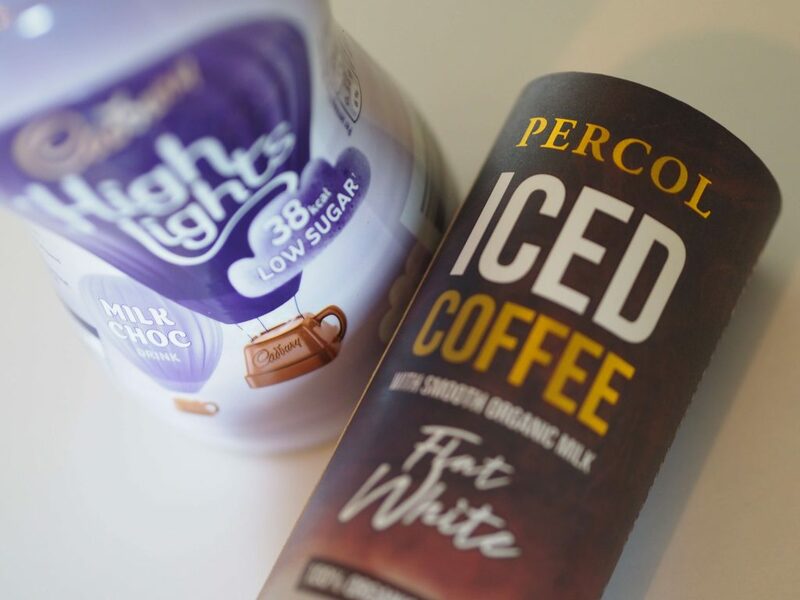 Percol Iced Coffees made with organic and fairtrade coffee beans by coffee lovers. Had this on the go one morning on the way to the city. It has great strength and was quite possibly the nicest chilled coffee beverage I’ve had that is usually shelf bought. One of two boxed items promoting lowered calories in their recipes was a tub of Cadbury’s Highlights Milk Chocolate. Chocolate on a 38 calorie per cup quota. Whilst I’d love to comment on the quality, hot chocolate has never been a favourite of mine so my taste buds were not well placed to judge. 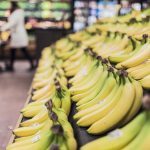 Again, the RRP is approximately in line with most main supermarket stores. Peckish Rice Crackers are light and thin little beauties, that are basked rather than fried. They’re gluten-free and under 100 calories per portion. Perfect as a healthy snacking option for picnics and barbeques. Wow, whilst many vegan snack bars lack flavour this Raw Choc Brownie is amazing! Almost had to wrestle it out of the hands of a vegan friend who was bouncing when confronted with it, declaring her love for these lovely morsels. The second item boasting new reduced sugar is from Rowntree. They’re offering a lessened sugar version of their traditional Fruit Pastilles. These are made with 30% less sugar than the regular ones and contain no artificial flavours, colours, preservatives or sweeteners. 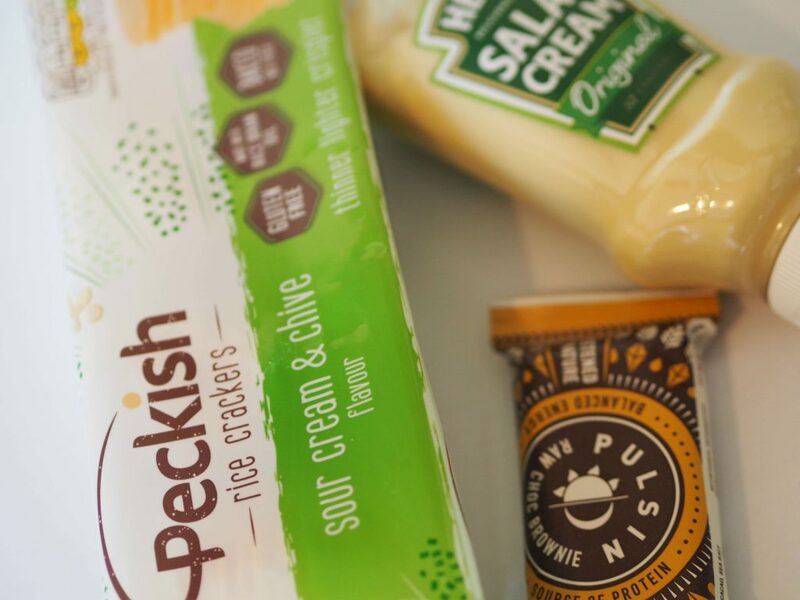 A UK tabletop classic finishes off the box and helps bring together the summer picnic theme that the July box seems to have – It is, of course, Heinz Salad Cream. The box comes with a bundled up recipe card to make the most of the contents and plan a lovely summer’s day out. The RRP value of the box far exceeds the £12.99 monthly cost, so on first glance, the box is good value. All the contents were great tasting and high-quality products, however we’d need to see future boxes to see if the value remains good each month. That being said by using our discount code and getting a box delivered for only £7.99 with bnous free items Degustabox is certainly worth a try. Product Description: Discover our new Spectacular Grains collection. Made with toasted spelt flakes and popped grains, for a crispier crunch than our classic mueslis, and blended with delicious fruit they’re a remarkable fusion of flavours and textures. *You should receive one of three flavours in your Degustabox. Product Description: GUNNA is a new range of lower sugar craft soft drinks. We were tired of bland tasting, sugar packed soft drinks packed with unnatural junk! So we created GUNNA, great tasting, characterful soft drinks with less sugar, 100% natural flavours and no artificial colours or preservatives. *You should receive two of four flavours in your Degustabox. 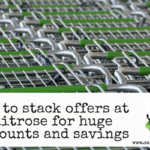 How to get double savings at Waitrose using "Pick Your Own" and Multibuys.